This is the official fundraising page for #Justice4Gemmel and All of Ed Buck's Victims. The Fund supports the quest for justice for all of Ed Buck's victims. The Fund supports the numerous young Black gay men who have stepped forward with horrendous and troubling allegations against Ed Buck recounting similar stories about a man who they say has a Tuskegee Experiment like fetish which includes shooting crystal meth into young Black men that he picks up off the street or via dating hookup websites. 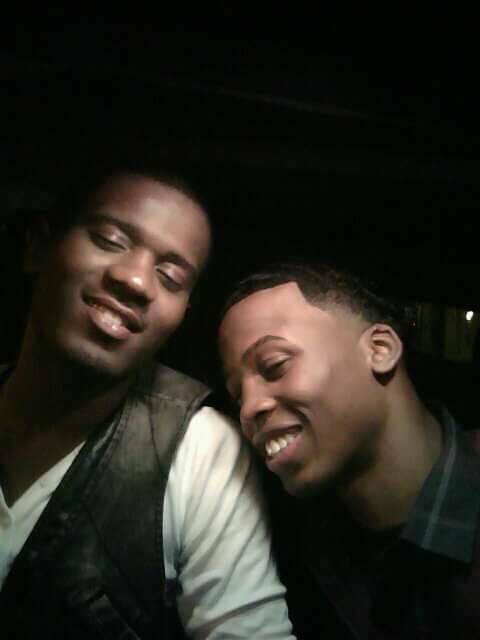 The fund also supports the family of Gemmel Moore to travel between Texas and California to push for justice for Gemmel Moore and other victims of Ed Buck’s. Donations help to cover travel expenses, ground transportation, room and board and legal fees. 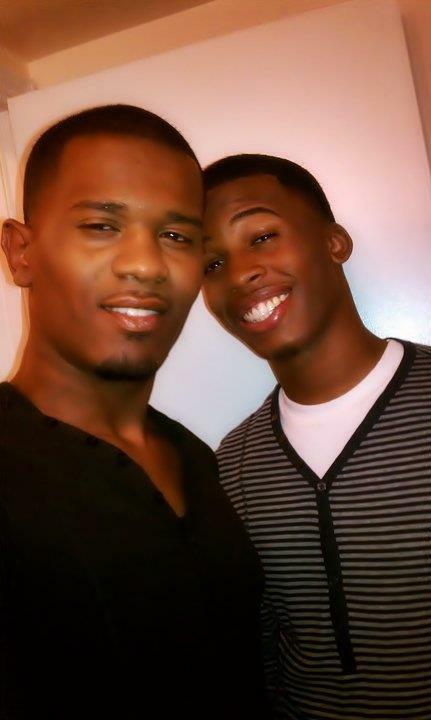 Gemmel “Juelz” Moore was a Black gay man who died tragically in the West Hollywood home of prominent Democratic major donor Ed Buck on Saturday, July 27, 2017. Gemmel’s death was immediately classified as an accidental meth overdose by the Los Angeles County Coroner but after his journal was published documenting his relationship with Ed Buck, the Los Angeles County Sheriff's Department was forced to open a homicide investigation. Unfortunately, by that time, much of the evidence in Ed Buck's apartment has been destroyed or removed. On July 26, 2018, Los Angeles County District Attorney Jackie Lacey declined to file any criminal charges against Ed Buck in the death of Gemmel Moore. 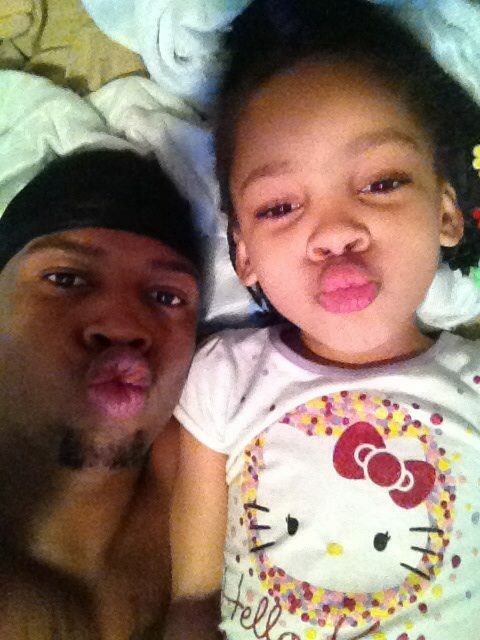 Gemmel loved life and lived every moment of it even through the ups and downs. 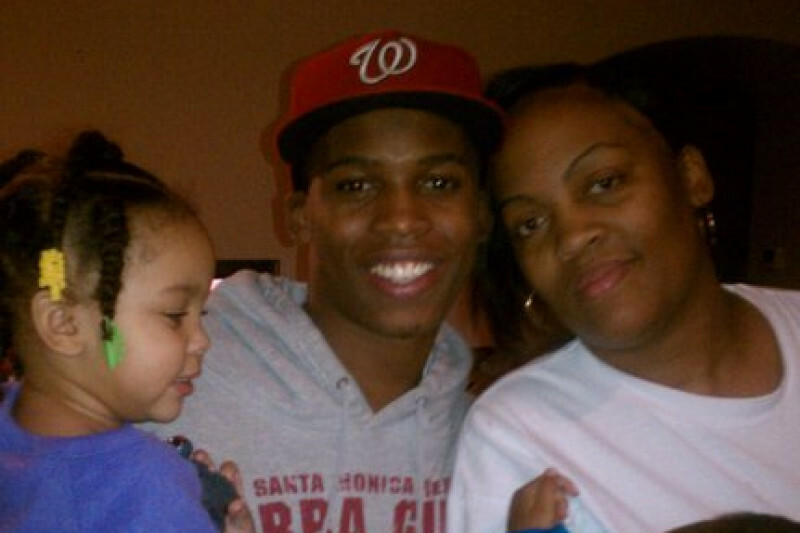 He gained lifelong friendships across the country because of his genuine, humorous and loving personality. 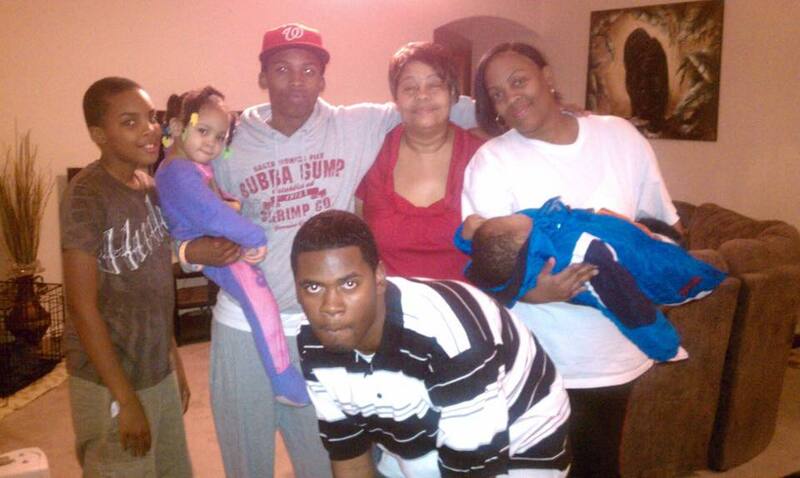 He leaves behind his mother LaTisha Nixon, grandmother, brothers and sisters, including 9-year-old protégé Aniyah. On Monday, January 7, 2019, Timothy Dean died in Ed Buck's apartment of an apparent overdose. The official cause of death is still pending. After a second death in 18 months at Buck's apartment, the Sheriff's Department is reopening the investigation into Gemmel Moore's death. 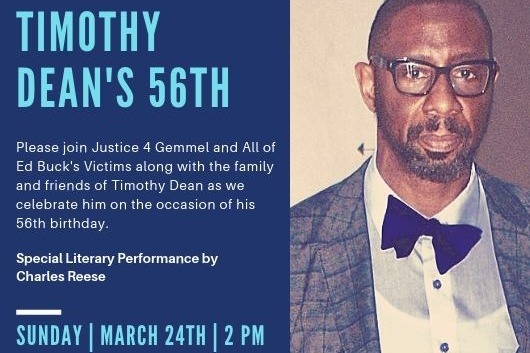 As supporters, please join Justice 4 Gemmel and All of Ed Buck's Victims along with the family and friends of Timothy Dean as we celebrate him on the occasion of his 56th birthday on Sunday, March 24. Timothy died of a drug overdose at Ed Buck's West Hollywood apartment on January 7 of this year. We want to surround Timothy's family and friends in love on the occasion of his first birthday since his passing. If you are able to make it, please RSVP to justiceforgemmel@gmail.com so we know how many people we are expecting. Thank you. Thank you all for donating to the Justice for Gemmel fund. Your financial support has helped us put on a beautiful homegoing celebration and now funding the fight to get justice for our son. 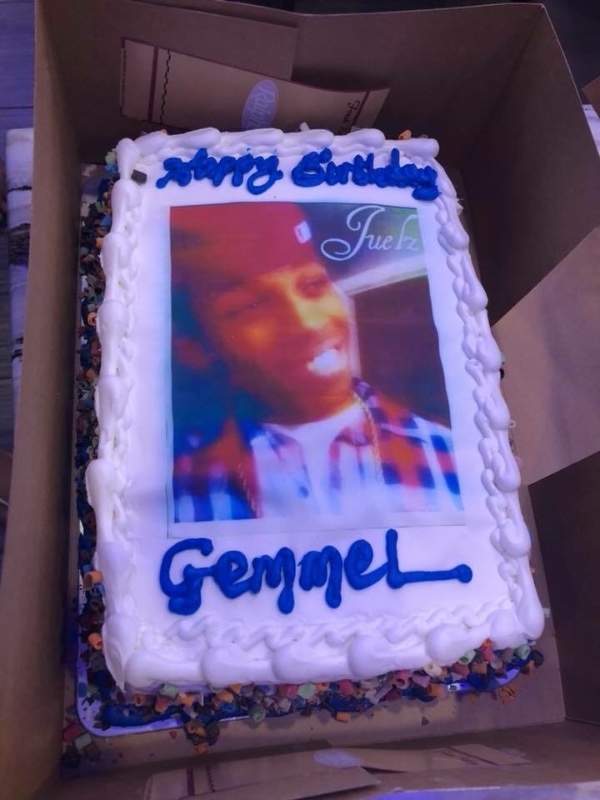 A remarkable team is voluntarily working front and center on Gemmel’s behalf in the public spectrum and legal system, please visit our website justice4gemmel.org to stay up-to-date. Acting on behalf of the Moore-Nixon family and as Gemmel’s godfather funds will be withdrawn from GoFundMe under my name and immediately placed into legal trust account. 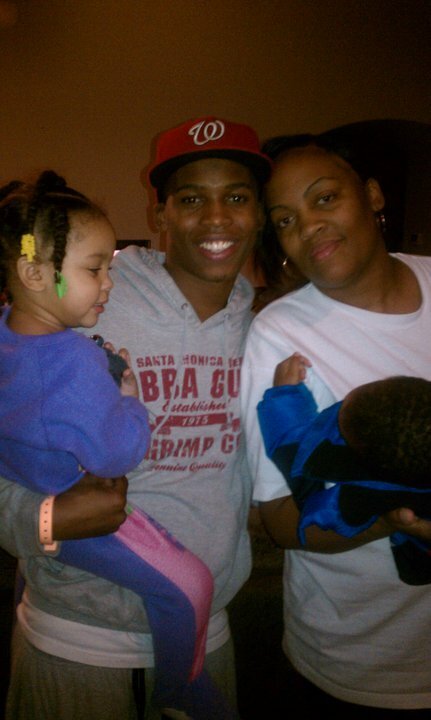 Thank you and God Bless, Marcus and LaTisha. Cake from Gemmel’s 27th Birthday Celebration!